Thunderkick Casinos & Slot Machines - Play Now! One of the new generation of slot game and software developers, Thunderkick have been around since just 2012 but have already earnt quite a reputation. The Swedish firm have launched more than 25 of their own slots, and their titles are live on over 100 different gaming sites and online casinos. You’ll find below a selection of the best sites casinos with Thunderkick slots, as well as an alphabetical list of all the titles developed and offered by the company. What’s more, we’re going to pick out some of what we believe are the best Thunderkick slots and give you some background on the company themselves. What Are The Most Popular Thunderkick Slots? As you can see from the above list, Thunderkick do not yet offer as many slots titles as some of the biggest software developers. Their range of titles have all been developed in-house, however, and boast an excellent range of different themes and genres. Featuring no branded or licensed slots, the Thunderkick range is very impressive given the company’s relative youth and includes the following already popular titles. Giving players the chance to sail uncharted waters and see what lurks beneath the waves, 1429 Uncharted Seas is a fun and original nautical themed slot. Traditional reels have been replaced by a pirate style map with the equivalent of three rows and five columns of symbols. Those symbols include sea monsters, other watery creatures and an ornate compass, whilst additional features of the game comprise an expanding wild, bonus game and free spins. Set within a classic barber’s shop owned by Monsieur Stache, Barber Shop Uncut is a zany slot game that has proven really popular with players. Boasting symbols depicting barber’s accessories and particularly hirsute patrons of the shop, the slot also has more additional features than those patrons have different types of facial hair. Locking wins with respins and a bonus game with free spins are amongst the most potentially beneficial of those features. One of a number of Thunderkick slots which abandon the idea of traditional reels, Birds on a Wire replaces them with various birds that fly down in groups of five onto three telephone wires. The trouble is, those wires have been mistakenly electrified, and it is that which forms the basis of the slot’s fun extra features. Those include dropping symbols, high voltage multipliers and an ‘Inwinity Spin’ bonus game, all of which add extra winning potential to the 17 paylines active in the base game. Themed after the Mexican Day of the Dead celebrations, Esqueleto Explosivo is a slot featuring Enrico Mortis and his mariachi band The Boners. Each of the five members of the band represent a reel within the game, and their three skulls – yup, each band member has three heads – are the game’s symbols. The main slot game has 17 paylines and boasts added extras including dropping symbols, ‘Mucho Multipliers’ and an Explosivo Wild. Given a really retro, arcade game look, Flame Busters is a slot themed after a group of firemen known as Roasty McFry and the Flame Busters. The game’s ‘reels’ are actually a burning apartment building, with a five by three grid of windows. Within those windows, different tenants and their pets who need rescuing appear as the symbols for each spin. Offering 243 ways to win, Flame Busters also features a Wild Fire symbol, a Fire Drill feature and a bonus game triggered by scatter symbols. A mystically themed slot, Pink Elephants invites players to help the Tribal Minions in their search for the Magical Peanut which will awaken the Pink Elephants themselves. No, we’re not sure what that’s all about either, but what we do know is that the fun little slot has six reels, four rows and 4096 different ways to win. On top of that, there is also a mystery scatter, symbol transformations, retriggers and a bonus game with free spins. A game which clearly takes the view that less is more, Sunset Delight is a simple and easy slot with a summer sunset theme. An image of a beguiling sunset provides the background to three ice cream cones, which get filled with three scoops each to provide the symbols for each ‘spin’. Boasting just five paylines, the straightforward little slot does still have a few additional features, including wild symbols, scatters and a bonus game with free spins. Set within the world of Native Americans and borrowing from their myths and legends, Turning Totems is essentially a five reel and three row slot. Instead of standard reels, however, the game displays totem poles which each turn to reveal three new symbols per spin. As well as Native American style symbols, the totems can also display Sleeping Wilds or Thunder Snakes, and the slot also boasts a bonus game, respins and a Thunder Reels feature. If what you’ve been wishing for is a whimsical, enchanting and unconventional slot, then Well of Wonders could be right up your woodland path. Set in the locale of a wishing well, seven floating runes replace traditional reels and symbols within the game, and give the slot a magnificent mystical feel. When winning combinations of runes are achieved, the runes will disappear and be replaced by others to give a better chance of wins. Respins, multipliers, wilds and a Fairy features also add to the game’s winning potential. Another fascinatingly unique slot game, Yeti is set in the village of Greenhat Peak and invites players to join in the battle that the poor villagers must wage against a greedy local yeti. The slot boasts five reels, three rows and symbols that include the yeti itself and examples of the fruit-based treasure which it hoards. Wild symbols also feature and there are Wild Attack Spins and a bonus game with special wild symbols to add extra interest. create games that enhance the overall player experience of online casinos. Those are just a few of the many sites and companies with which Thunderkick now have commercial relationships. The company is licensed in both Malta and the UK, and is certified in many other jurisdictions. 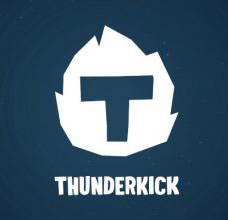 That allows their 28 current slots to be available to many players around the world, and Thunderkick’s ongoing in-house development ensures that many more titles are in the pipeline. …within all of their slots. What’s an immediately recognisable hallmark of the company’s games, too, is the fact that many eschew traditional reels and replace them with more interesting graphics and ways of displaying symbols. On their website you can view all testing certificates and payout percentages for each game. At time of writing, we can’t yet find evidence of Thunderkick having won any major online gaming industry awards. That’s not too surprising, given that the company is only in its sixth year of existence. Considering the impressive graphics, themes and features of their ever-widening range of slot titles, however, it shouldn’t be too long before the gongs start piling up for the Swedish firm.